Hold on to your hats..On either the Nordin 26' Sport or Center Console. These boats can reach up to speeds of 80+mph. Cruise in comfort at 55 mph (faster than most recreational & fishing boats will ever go). 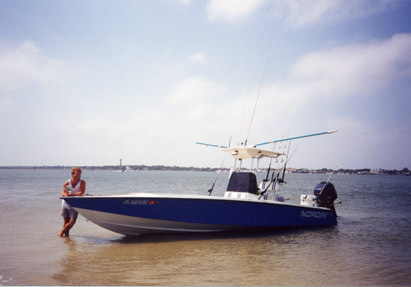 But, the Nordin 26' Center Console & Sport is about much more than speed. It's about performance and handling. These versatile boats can be used for tourament fishing, water skiing, or just a day out with the family. You MUST sea trial one of these boats to judge for yourself. The Nordin 26' is the best buy for your money when it comes to performance and style. What's more, you'll have the confidence and pride of knowing you've purchased a boat built to handle any situation you put it in. We hope that you have enjoyed your visit and have found all the information you needed. 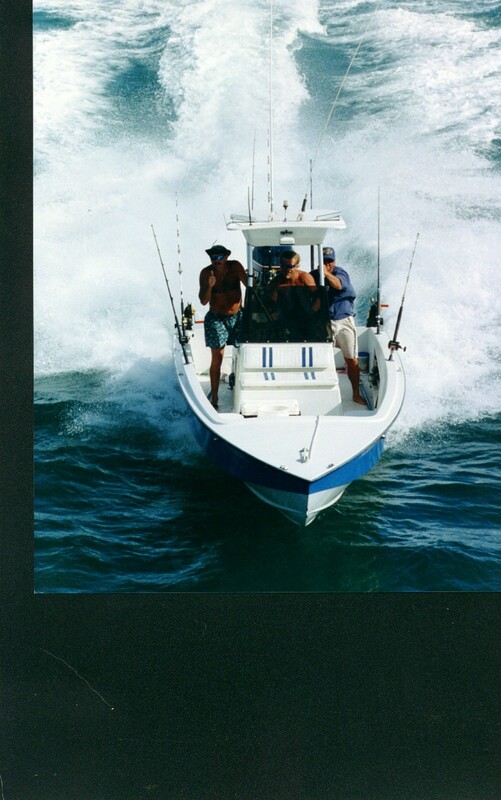 If you need assistance in helping you find the perfect boat, please contact us . We would be more than happy to help you. Please sign our Guestbook ,we would love to hear your comments. Also check out what others have to say about our boats.